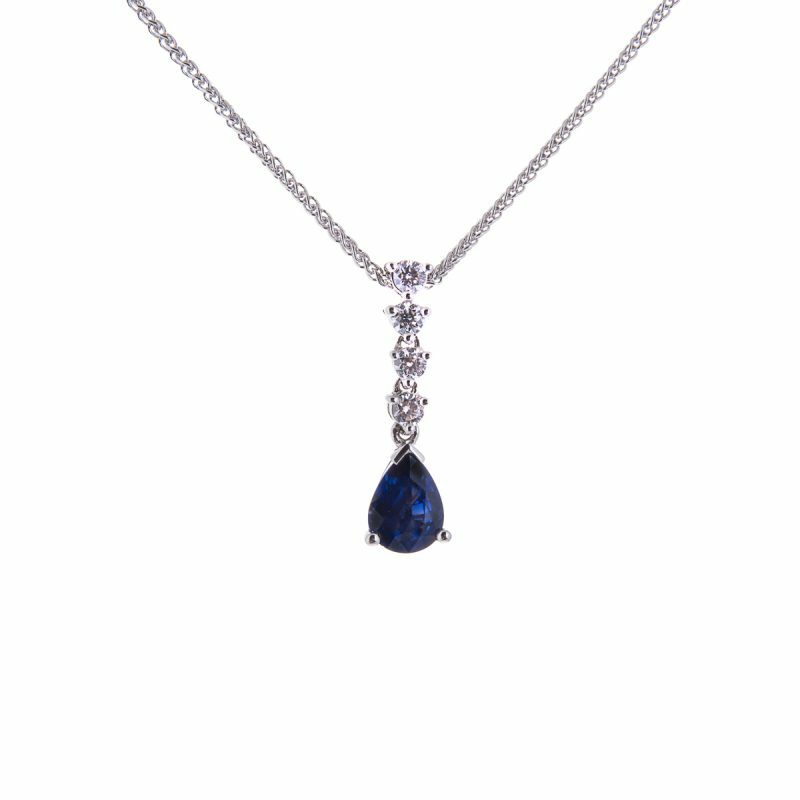 18ct white gold round cut sapphire pendant surrounded by a row of sparkling brilliant cut diamonds. 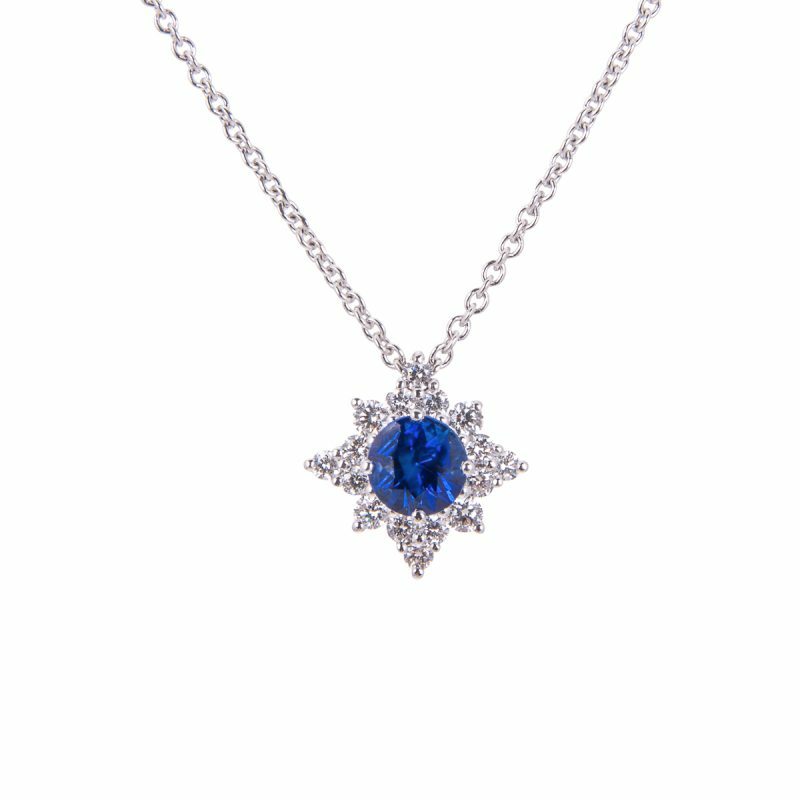 The perfect balance of bold colour and classic design combine the strong blue colour of the sapphire, contrasted beautifully by a surround of sparkling brilliant cut diamonds, all mounted in a star design in 18ct white gold. 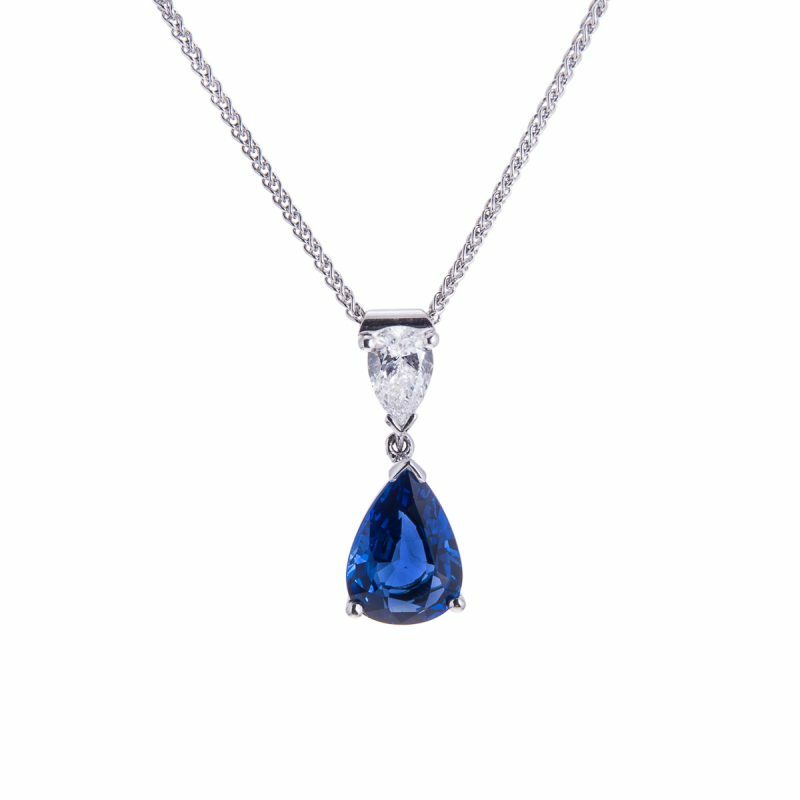 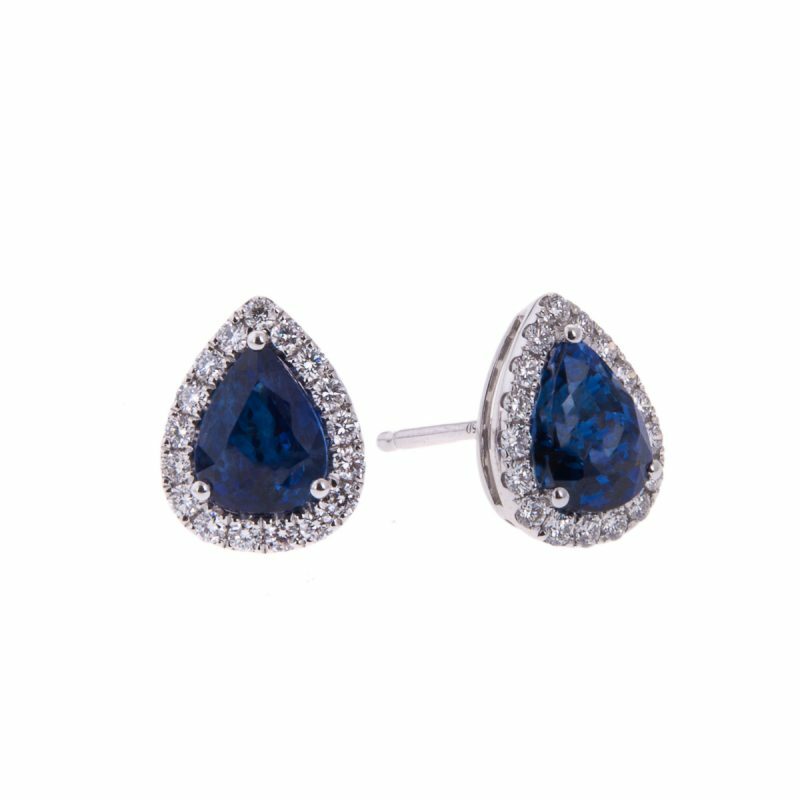 A timeless classic with a modern twist that will be admired whenever its worn.